The issue at stake is the high price of vanilla beans. This leads to greater vanilla bean theft so growers typically harvest too early in order to save their crops. Unfortunately, this leads to poorer quality vanilla beans. While East Africa has also increased production, quality remains uneven, with some plantations producing decent vanilla beans but the majority producing mediocre quality. 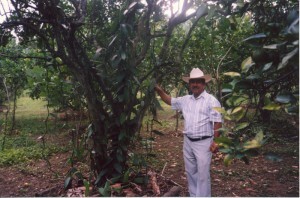 Mexico, Polynesia and India continue to have low production, but Mexico now has the incentive to plant to take advantage of the higher prices and is also growing vanilla in new regions. India apparently may also be planting more vanilla. As most of you already know, the crisis we are dealing with was largely man made and not caused by cyclones, fire or drought. In 2015 Madagascar experienced poor flowering and a very small vanilla bean crop. Buyers quickly purchased the last of 2014 crop, knowing prices would go up. By holding the beans off the market, the speculators forced the prices up further. Then, when the green beans were harvested in May/June, multi-national speculators went into the newer vanilla producing area south of Sambava, the traditional growing region. They outbid all buyers of the just harvested green vanilla beans. As it was a short crop to begin with, by holding the beans off the market, the speculators forced the prices up further. Some beans were only cured (fermented) for a few days, then vacuum-packed to complete the process later. This technique creates very poor quality beans with a low flavor profile. Because so few beans were available, however, they had a ready market with extract manufacturers who paid the high prices for their beans in order to fulfill their contracts with companies. The Madagascar government attempted to curb the cheating and poor curing practices by banning the sale of green beans during the harvest as well as outlawing vacuum-packed beans. Unfortunately, there isn’t the infrastructure or the will to consistently enforce the rules and most middlemen ignored them in the rush to sell the green beans. The green beans sold for as much as $80 a kilo, a huge boon for some farmers and the middlemen who normally make this much money in six months. What it meant, however, was that the cured and dried beans reached untenable prices in the same way as the last crisis (caused by storms) in 2001 – 2004, when prices of cured and dried beans to the traders were in the range of $500 a kilo at source In fact, in less than three years market prices increased 1500%. Three years ago, cured, dried beans of good quality cost as little as $20 a kilo at source, which means that the farmers and middlemen who gather the beans in rural areas and bring them into cities or to the packing houses barely made a living. Due to Cyclone Enawo, that hit Madagascar March 7, 2017, there was a 15 to 20% loss of vanilla beans. Somewhere between 1300 and 1500 metric tons of vanilla from Madagascar came onto the market at the end of 2017. While better than the 2016 crop, a significant amount was harvested too early or was vacuum packed too green and was not good quality. However, Indonesia and Papua New Guinea have ramped up their production, which helped boost the total world crop considerably. A fair percentage of the beans beans are better quality than what came in from Madagascar. News travels quickly via the Internet, however, and vanilla prices from these countries are understandably very high as well. It is during times like this that farmers can earn a lot of money if they have decent quality beans to sell. While it may appear that the market will continue like this indefinitely, the reality is that the market will collapse. We just don’t know when. 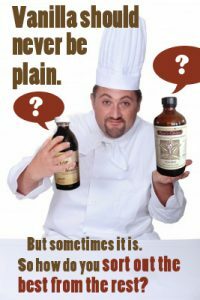 When prices are extremely high and the extract makers tell their clients the price for pure vanilla extract, the clients, who are primarily frozen dessert and dairy manufacturers, have the option to choose pure vanilla or a variety of natural vanilla flavors drawn from plants other than from vanilla beans. The flavors are extremely inexpensive, enough so that when a crisis like this occurs, many companies may not go back to using pure vanilla when the prices collapse. The pollinating seasons (October and January) were good this season and although it did not appear that prices would drop quickly or even significantly, it was assumed that we would see a softening of prices. However, January 5th Category 4 Cyclone Eva, struck Northern Madagascar and moved slowly down the East coast of the island. The flowers were knocked off the vines, of course, but there had also been torrential rains before the cyclone struck, causing significant flooding. There are varying estimates about how this will impact the 2018 crop with one estimate of up to a 50% loss. Only time will tell for sure how much Madagascar vanilla will come to market. Of far greater concern is the quality of the Madagascar vanilla. Because prices are so high, some flavor companies are strongly encouraging the quick curing process, which takes weeks instead of months. Before the 2016 crop came to market, 300 – 400 metric tons of green beans were quick-processed, making the final market total of available beans much smaller than anticipated. Both the flavor houses and the buyers benefited as it saved months of time and sold for less than the final market prices, giving them both a huge competitive advantage. Where the quick-processed beans sold for $400 a kilo, the final market was significantly smaller than anticipated, and the prices went up by $100 to $500 a kilo. Because the green bean curing and drying techniques were so financially successful, companies promoting this process have put down millions of dollars on the green vanilla beans not yet harvested to secure beans for their clients. This is not written or spoken about to the general public. Instead, a lot of the companies tout their sustainable practices and concern for the best vanilla beans and extracts. While there are both large and smaller companies doing all they can to make sure they are buying quality products and with a fair price for growers, this represents roughly 25 – 30% of the total crop. Due to so many variables, there is no current estimate of what the 2018 Madagascar vanilla harvest will look like. Why does this happen with vanilla but not chocolate or coffee? Because there are viable alternatives to vanilla beans such as imitations and “natural flavors,” vanilla is a far smaller industry than chocolate or coffee. Coffee and chocolate are traded in millions of containers each year; vanilla comes in at roughly 2300 – 3000 metric tons in a good year. As a result, vanilla isn’t traded on the international commodities market. There are no protections for vanilla growers and no rules or sanctions on the industry. Coffee has a base price in place; farmers are at least guaranteed a minimum wage during a surplus. Chocolate used to have a base price, but this was recently discontinued. Coffee and chocolate also have non-profit associations that help growers and promote their products. While prices and available volume for coffee and chocolate fluctuate, they are more stable markets than vanilla. That said, small shareholder coffee and chocolate growers and those who labor on large plantations are poor. It is for these reasons that I am concerned about social justice issues for the smallholder vanilla growers. Many smallholder vanilla growers also grow cacao or coffee, which help in their survival. At this moment, vanilla prices are between $450 and over $600 at source depending on size and quality of beans. There is still an acute shortage of extract grade vanilla beans, so the prices are running higher for the extract grade than the gourmet grade. Most traders are investing only for the short-term given the high prices. In addition to the $500 – $600 a kilo price tag, there is also the cost of shipping the beans long distances, port fees, customs fees and risk factors such as poor quality or mold. While the big buyers of vanilla beans make money, it is not proportionately higher due to the shortage. Extract manufacturers may make only a $5.00 to 10.00 a gallon profit in order to remain competitive. As the margin-of-profit in the food industry is very small, despite the high prices, most of us selling vanilla are making a minimal profit. This report will be updated when new information is available. You can help keep our farmers in business and get the best tasting vanilla available at the same time! Our own Rain’s Choice vanilla extracts are made with 20% more vanilla beans than required by law. This gives our extracts an excellent depth of flavor that is so strikingly noticeable that it is not uncommon for us to get reviews like the one below. 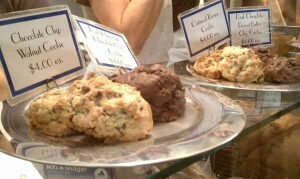 Are you ready for a taste sensation? Then we invite you to try Rain’s Choice vanilla extracts. 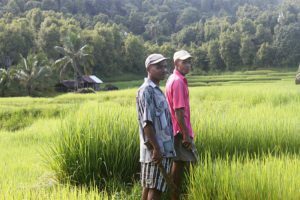 Tags: 2018 Madagascar Vanilla Crop, 2018 Vanilla Crop, Will Prices for the 2018 Vanilla Crop Soften? So with this problem of high prices do you see an increase in your prices as well for your beans, pastes & extracts? Sad what greedy people do to force false increases as in the long run people uses cheaper flavorings and as you said end up never going back to the pure product, which in the long run reduces the income of these farmers. Carol, the prices go up at every level of the industry. For instance, if the traders who purchase in volume are paying $500 a kilo for vanilla beans in Madagascar, they have to pay shipping costs, airport fees, customs fees and agent’s fees. That gets added on to the costs. They mark the vanilla up accordingly and add a small profit. If the beans are to be used for extract, most companies don’t make their own extracts as equipment is expensive and alcohol has to be purchased and buy-back fees submitted to the BATF. As a result, manufacturers are making extracts for the many companies who sell it and that adds on more of a fee. We buy our beans from a fairly traded company who were Peace Corps workers and assisted a few villages in the region to create coops. So they are paying the producers market price, which has to be passed on to the buyers plus the above fees and their margin-of-profit. This is why our prices are so high. We actually make less profit during a crisis even though it appears we must be making a lot of money. I added another paragraph today to the report I wrote yesterday that explains why this happens with vanilla but not coffee or chocolate. It is a very difficult situation all around. The United States has historically produced little amounts of vanilla bean. I am studying vanilla growth in California for California Polytechnic State University. Is there any chance that a greenhouse grower in California could produce a valuable niche market product? Thank you! Very thorough information. I appreciate it. Thank you Lillie. I think it helps to understand what’s going on when prices are as high as they currently are. Because home cooks and bakers are using vanilla by the teaspoon and not by the cup, even with the high prices it’s not that expensive, especially as vanilla ages and becomes even better due to the high alcohol content. Would you please elaborate on why vanilla production is so labor intensive? What are the particular stages of production that require high farm labor usage? Miles, for a more complete version of vanilla growing as well as vanilla’s history from early Mesoamerica to the present,my book, “Vanilla,” which is sold on my site is an excellent resource. The quick version is vanilla is an orchid. 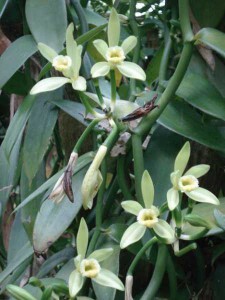 It takes about 15 – 18 months after a vanilla vine is planted until flowers are produced, and sometimes longer depending on the location. The flowers bloom for less than one day and each one must be hand pollinated. There is a window of about six hours in which to do this. The bean is the ovary from the flower and will grow to nearly full size in 2-1/2 weeks. However, ideally it needs to remain on the vine for nine months, until the bean is yellow at the tips. Each bean must be picked individually. In an ideal situation, the beans are checked daily near the end of the nine months so that they are each harvested at the right time. The beans then must be cured either using low-heat ovens for 30 hours (Mexican method) or using the Reunion method where beans are “scalded” for anywhere from 30 to 120 seconds based on their terroir and how much time has been proven ideal. The beans are next put into wooden boxes lined with burlap and allowed to sweat for about 30 hours. Then they are laid out in the sun for several hours daily until they hit peak heat, at which time they are rolled up in the burlap again and put into the boxes to sweat. This process takes about 2-1/2 – 4 weeks, longer if it has been raining. When they have lost between 70 to 80% of their moisture, they are sorted by size and quality and allowed to rest for a few months before they are bundled and shipped. From planting a vine on a tutor tree or other support until the beans are ready for export takes about 2-1/2 to 3 years. To have enough vanilla to sell from an acre or two plantation, it takes nearly five years. This is why it is such a labor-intensive crop. Thank you for this assessment. Is there an update on what’s happening with vanilla as of the end of 2018? No one is quite sure what will happen next. Prices remain high but most growers are sitting on lots of vanilla and few people are buying. We should know more in the next month or two, once the busiest time of the year for vanilla sales as calmed down. I will update this blog when I have more information.